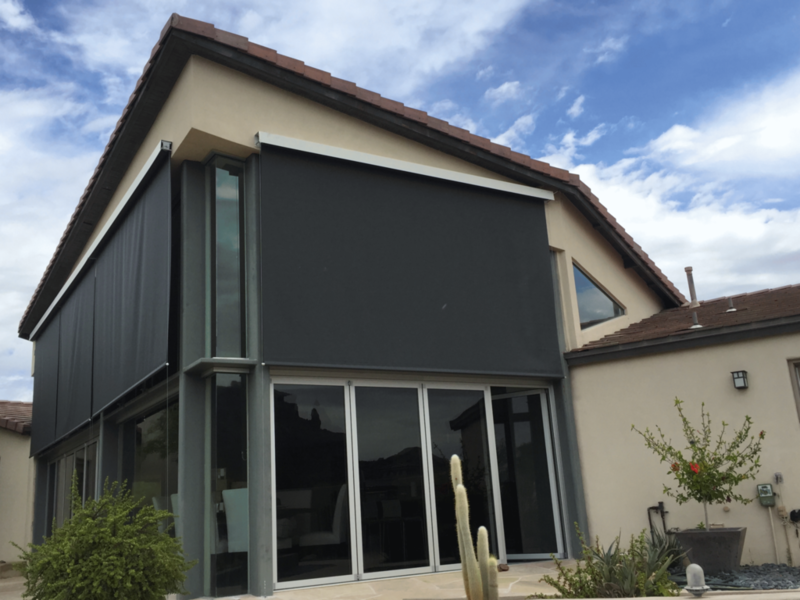 Solar shades and roll shades are a great way to keep your patio cool and shade your home and windows from the intense sunshine here in the beautiful Valley of the Sun. Here at KC's we use the highest quality Textilene Fabric to custom build rolling solar shades for your home. They are built to last with the best hardware and components. They are available with power motors and an easy to use remote control to raise and lower them. We can even install a wind and sun sensor to raise or lower them automatically. 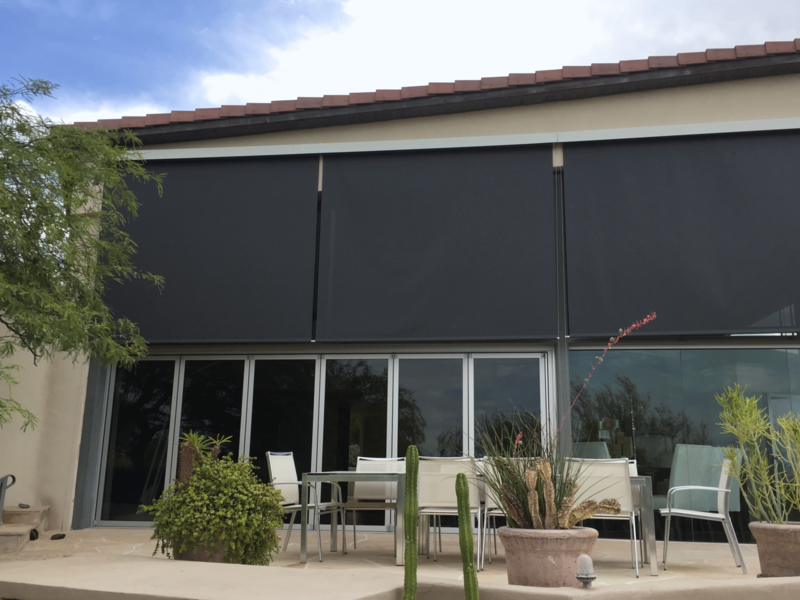 These solar shades will make your patio a comfortable place to enjoy the outdoors with your friends and family. They are backed by a 10 year guarantee so you can be worry free. WHEN YOU GET COMPLETE SERVICE, INTERIOR, EXTERIOR AND SCREEN CLEANING.